Here it is, fabulous readers – the word I hate to talk about. It’s the one four letter word I actually don’t use (all the others are fair game). But, I’ve gotten out of control. And with my newly tucked tummy, I want to get the rest of me back on the band wagon. 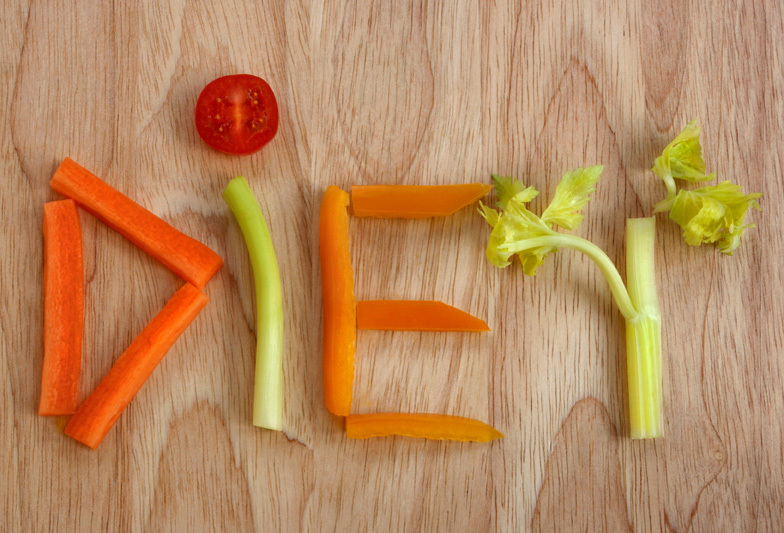 The plan at the moment is to try to lose 30 pounds in 90 days. Realistic? Maybe. It’s going to be a struggle, but I think when I stop and recognize all the junk that has creeped its way back into my daily eating, it will be a big step just to leave the crap out. Stay with me as I go through the diet grumpiness and the exercise soreness (oh, Jesus, did I just commit to exercise?). If I don’t have you guys motivating me on and keeping a watchful eye, I’m not sure I can do it! You know how you hear stories told time and again, throughout your child, and those stories become the fabric that makes the quilt that is the story of you? This is one of my stories. Well, not mine exactly, because it didn’t happen to me, but it is a story that I heard so many times, I think I had it memorized by the time I was freshly hatched! My dad was a little boy, and Christmas was coming. My grandmom, his mother, asked him, like mothers everywhere do, what he wanted for Christmas. My father gleefully answered that he wanted a Dolly Darfy. She asked him a few more times, and each time, she got the same answer. My dad wanted a Dolly Darfy. Christmas came, and under the tree, there were all sorts of wonderful gifts, but the sadness on my dad’s tiny face told the whole story – there was no Dolly Darfy. At some point after the holidays, my grandmother had my dad in tow while doing some shopping. 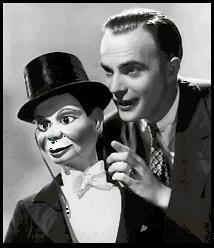 She let him wander over to the toy department of a local shop, and she heard him yelling excitedly, “Dolly Darfy! Dolly Darfy!” My grandmother rushed to see one of these mysterious Dolly Darfys, and when she arrived at my father’s side, there it was. 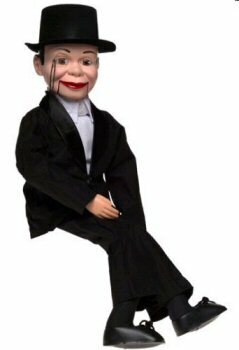 When a three year old asks for a Dolly Darfy, he means Charlie McCarthy, the famous Edgar Bergen ventriloquist dummy that was wildly available as one of the most popular toys that Christmas. As I said, I heard this story often. It was told every Christmas in our house, just like “‘Twas the Night Before Christmas” is told in other homes. We heard the story at practically just about every gift giving occasion. And then there was eBay. I searched for months, trying to find one that might have been available when my dad was a kid. Even eBay couldn’t help me there. When one would pop up over the many months of searching, it became much too rich for my pocketbook. I finally settled on a Juro 1968 version of the much told about doll, and excitedly purchased it for my dad. I can feel the heat from the radiant beam that crossed his face even now, all these years later. I don’t think Ann, my stepmother was as pleased that I found yet another item to collect dust in the house, and the grandchildren, well, terrified just about covers their feelings towards poor old Charlie. And now, he lives with me. My stepmother, long tired of dusting the old guy off, wrapped him safely in plastic and brought him to our house. I sit on the fence, debating whether or not he’s a keeper. The story and the memories are so real, I don’t even need to hold Charlie in my hands to feel the excitement my dad felt when he was a small boy. But while the internal debate rages on, I sure do like looking at him, remembering the joy he brought to my dad, even after 60 years. Can A Girl Get A Little Morning Consistency With Her Coffee? I am a creature of habit. I generally wake up the same time every day – even on weekends and holidays. I get the same drink at the same Starbucks every morning. I like to visit the same theme park every time I go on vacation. 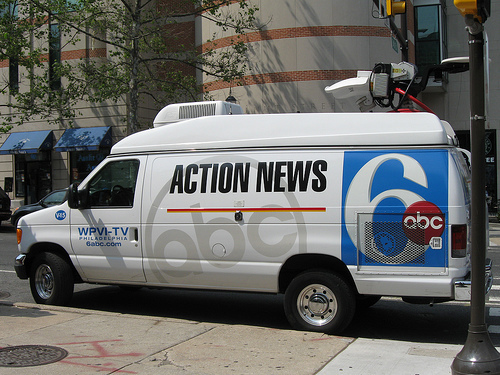 So when I tell you I have enjoyed for most of my life Channel 6 Action News in Philadelphia, you can pretty much guarantee the accuracy in that statement. I’ve been with them longer than Jim Gardner has been with them. I cried real tears when Jim O’Brien died in that terrible accident. I watched Lisa Thomas-Laury and Marc Howard from the beginning of the 5 o’clock news format. These have always been my go to people. So what’s up with my morning newscast? Channel 6 in Philadelphia seems to be going through a bit of a morning news show crisis, in my opinion. Some mornings, I wake up to the funny and talented Matt O’Donnell, along with co-anchor Tamala Edwards. I have to admit, it took a bit of time for me to warm up to Tam – she swallows quite often during her newscast, and being a bit of a saliva-o-phobe, that kind of grosses me out. But I love Matt, David Murphy, and Karen Rogers (who is as big a Disney fan as I am!). You know, I can’t just decide every Friday to wake up next to George Clooney – it’s always Jim. So why, it seems like nearly every Friday for the last long time, do I not get to wake up to my morning news team? It seems like every other day I’m hearing, “Matt’s off today” or “In for Tamala Edwards…” It’s not that I mind seeing Brian Taft or Sarah Bloomquist (gosh, I love her! ), it’s just that if I’m going to wake up every morning in the same bed, in the same bedroom, in the same house, I want the same consistent courtesy out of my morning news team. And it’s not just the weekday newscasts they’re messing with. Some Saturdays, I get Walter Perez. Walter and I go way back, as he was also on the local station when I lived in South Florida, and I like seeing his familiar face on the weekend. I like seeing Nydia Han on the weekends. But I don’t like a revolving door of news anchors. I think for someone to build trust in their local news broadcast, they need the same familiar cast of characters. For years, this city tuned in to see Jim Gardner, Dave Roberts, and Gary Papa. I get that people grow old, retire, succumb to illnesses, move on to other opportunities. But Action News seems lately to be having an identity crisis. Let’s get this news broadcast into some decent therapy. Budget Valentine Gifts for that Man oh Man of Yours! Alright, I know he leaves the toilet seat up; brushes his hair with the last three fingers on his left hand; wears the ugly Hawaiian shirt he bought on a cruise in 1993 whenever you tell him to “dress up”; and he emits the most noxious odors from various parts of his body at the most inappropriate times. But you love him, it’s Valentine’s Day, and you want him to know how much every inch of pudge layered over his six pack abs means to you. But have you seen your budget? If it costs more than a Happy Meal, chances are, you can’t afford it. But that’s okay! I’m here to help you figure out what to do for that wonderful man of yours on Valentine’s Day! The way to any man’s heart is, well, through his stomach. Valentine’s Day is no different. If you want to win your guy over, feed him. 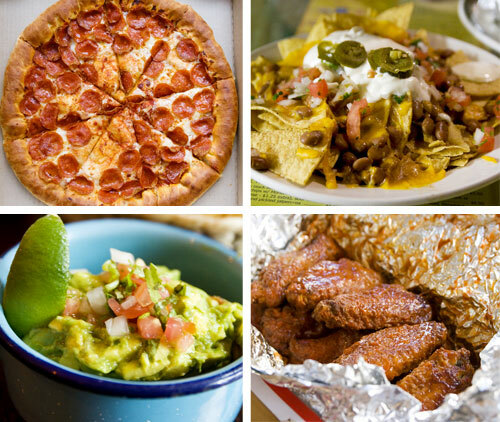 You know that chunk of your grocery budget dedicated to healthy snacks on Sunday while he watches sports? Use it to buy some sports fan food – nachos, chicken wings, chips and dip. It’s only once a year, and he will be tickled to see the snack tray that is usually filled with rabbit food and rice cakes is loaded with his football food favorites! 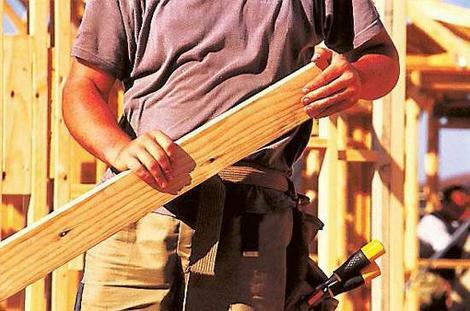 Do you live with a Mr. Fixit? Check out your local hardware stores for some great free classes that your tinkering honey might enjoy – and they come with the added bonus that you might actually get some of those items off of your honey-do list! Ask at customer service at your area Home Depot or Lowes to see what upcoming classes they have, and choose one that might be of interest to your handy man. Make sure when he comes home, armed with his new found knowledge and a brand new area of expertise, you’ve got a cold drink and a hot kiss waiting for him! Is your guy the stereotypical bookworm? Chances are in his busy life, he doesn’t get much quiet time to read and enjoy the latest Stephen King novel. Your local gourmet store probably has sample sizes of some exotic coffee or tea – many samples being only a dollar or two. Grab his biggest coffee mug, put in the coffee sample, a couple of cookies stolen out of the kids’ cookie jar, maybe a good cigar if he smokes them, and then stop by the library to pick up a book or two he might enjoy reading. 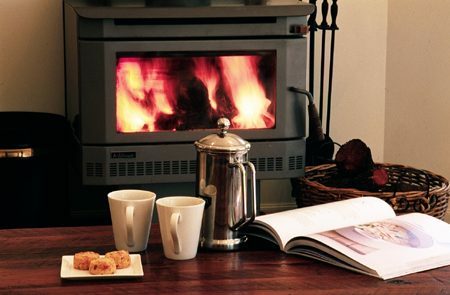 Don’t forget to give him a night off to enjoy the solitude while he sips his coffee and enjoys his book! 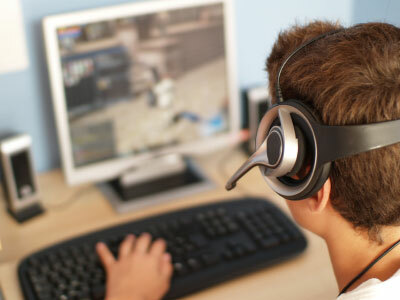 How many times have you said to your cuddly computer geek, “If you don’t get off of that computer now, I’m going to cancel your subscription to World of Warcraft; burn your Asheron’s Call t-shirt; toss your Civilization cheat guide in the trash; and tell all of your friends your 9 year old had to show you where to plug in your iPhone charger!” Oh, is that just me? Well just in case it isn’t, just like the avid reader, the avid gamer probably gets a lot of flack for taking time for himself on the computer. This Valentine’s Day, let him have it. No, don’t punch his lights out – let him have some computer time, uninterrupted, your gift to him for being the sweetheart that he is! Let him eat dinner at his desk, bring him a couple of Red Bulls so he can stay up all night if he wants, and let him be. He will really appreciate the night to himself – so much, that it might reflect well when your anniversary rolls around! 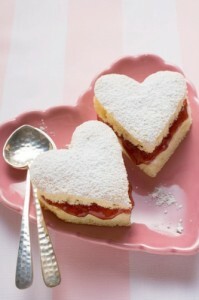 You don’t have to think too far outside the box to come up with an inexpensive Valentine gift for your sweetie. Give him what you can’t really afford to give him on a daily basis – his own space to do his own thing. He’ll appreciate that much more than another pair of silk boxers with Valentine hearts on them! As if it’s not enough that we’re just recuperating from the pressures of what to buy whom for Christmas, now Valentine’s Day is staring us in the face! 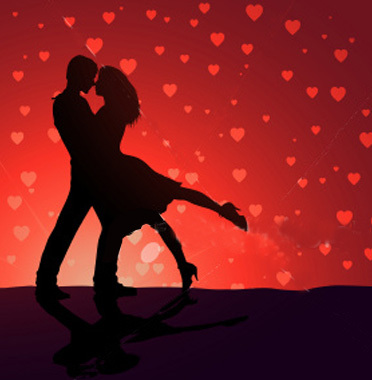 No one wants to look like a cheap sucker when expressing their love on Valentine’s Day, but in this economy, with your good friends Mr. Mastercard and Miss VISA expecting a little something to reward them for how loyal they were to you during Christmas, what can you afford to do? Let’s run it down by the list of people who might be expecting gifts and see if we can’t help you show them that you care for them with a champagne heart but a beer pocketbook. Drugstores all over America make it easy for you to treat your littles to something sweet for Valentine’s Day, and because kids don’t really get the whole gist of putting a price on love, you can get away really inexpensively here. 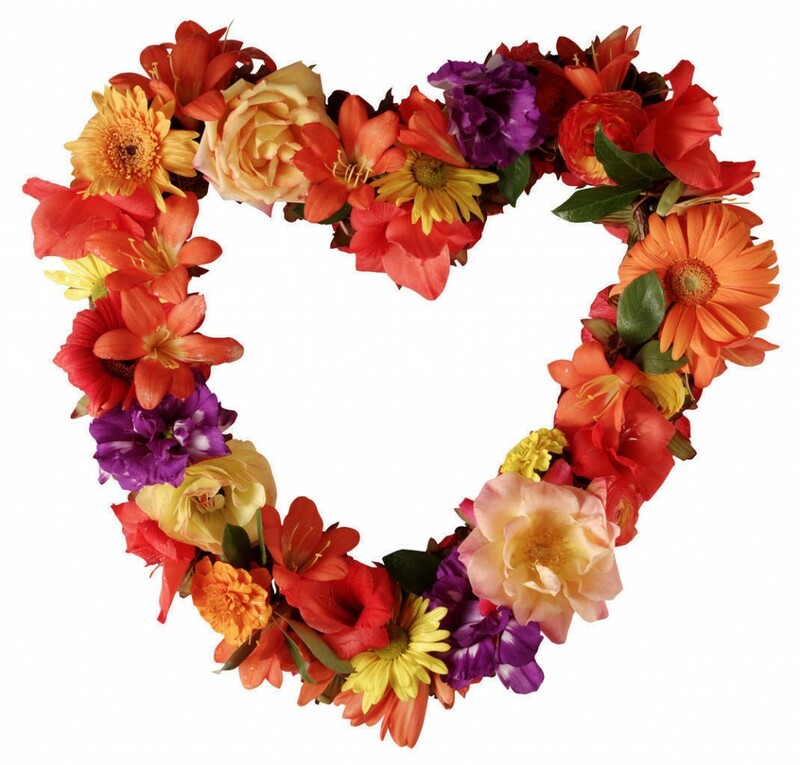 1 – Walmart has a Valentine aisle – as does Target, Walgreens, and CVS. 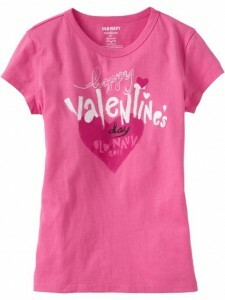 You’ll find $5 plush toys, .99 candy filled hearts, $1 Valentine socks, and other inexpensive goodies. You can fill a gift bag for your kids for under $10 and have it bursting with Valentine treats. 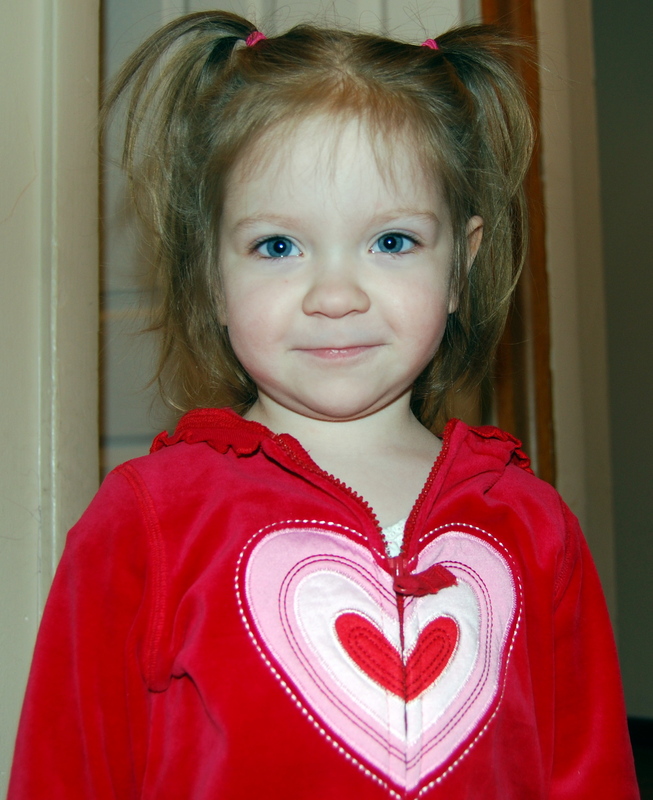 2 – Valentine clothes – We almost always get Valentine PJs for our girls, mostly because they usually need new PJs, but also because we can find for less than $20 (and sometimes for less than $15) a cute Valentine set of Pajamas and a stuffed animal, so we avoid the candy and sweets route. You can find Valentine PJs, t-shirts, and socks at stores like Target, Walmart, and Old Navy. I kinda like this little t-shirt for $5! 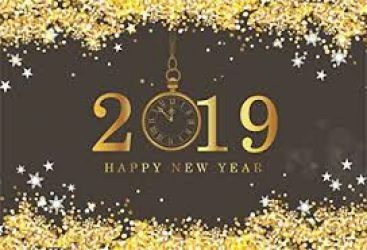 3 – A Coupon Booklet – Treat your child to a Frosty at Wendy’s, a hot apple pie at McDonald’s, a trip to the library for story time, or even a pedicure and manicure, courtesy of Mom. 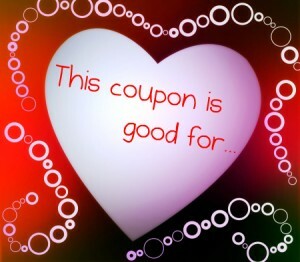 You can fill a book of coupons with free or almost free things that your kids will love! Promise a picnic at the park on one coupon. A popular coupon at our house is the Get Out of One Chore coupon, where your child can redeem the coupon to get out of setting the table or walking the dog, without risking allowance! You might even offer to play that horrendous board game they got for Christmas – you know, the one that you’d rather skip playing in favor of a root canal? Just keep reminding yourself that it’s all in the name of love. 4 – Special Valentine’s Day Meal – You probably have red plastic table cloths or red napkins left over from Christmas – or you picked them up for 75% at an after Christmas sale, so go ahead and decorate your table! Dress it up in reds, pinks, and whites for a festive themed setting your kids will love. 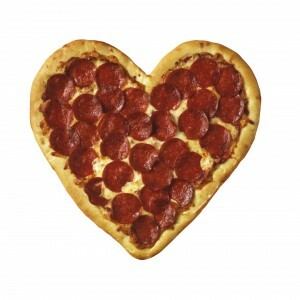 Then when they sit down to a meal, it doesn’t have to be fancy, just Valentiney! 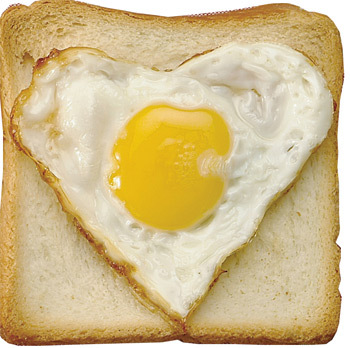 Use cookie cutters to cut heart shaped sandwiches with their favorite filling, or put that art school degree to work and shape a meatloaf or a pizza for your special kids. Use food coloring to put a Valentine hue into mashed potatoes, biscuits, or muffins; and consider a dessert with strawberries! The thing kids love most is your time. If all else fails, read them an extra bedtime story, take time to listen to their playground tales, or volunteer to be the guinea pig as they try their hand at being a beautician. Kids know that you love them when you make time for them, and your time is the one thing that really doesn’t cost you anything. It is the best – and the cheapest – gift you can give your kids on Valentine’s Day – and every day. You know I love a dose of Mickey Mouse, wherever I can get it! 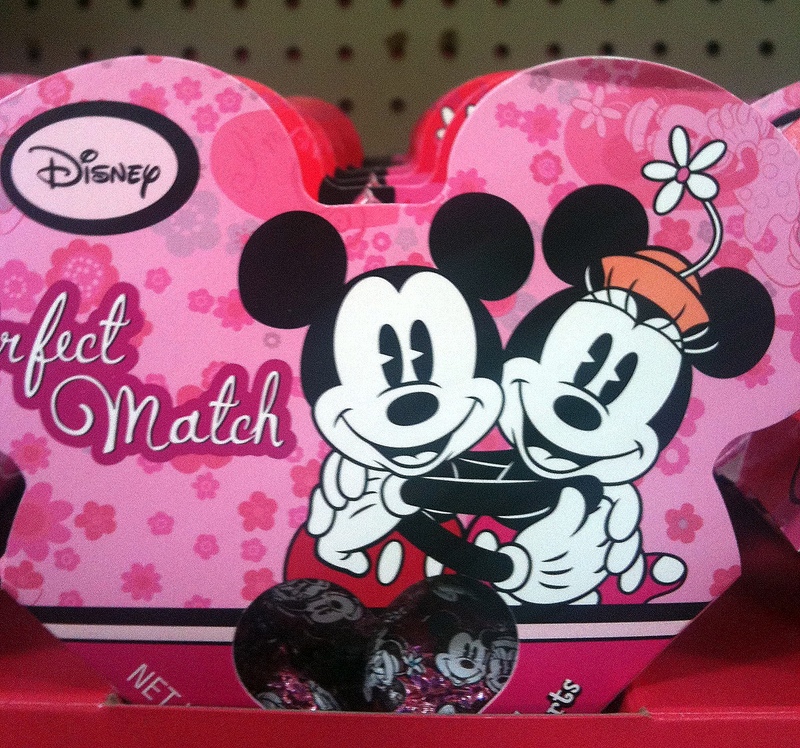 We ran into Walmart today to pick up ONE thing (famous last words), and while browsing the Valentine aisles (which, by the way, were nowhere near where that ONE thing would be), I came across a few things that will make this a Mickey filled Valentine’s day for you and your sweetie! First were these adorable swirl lollipops. They came in flavors like watermelon and strawberry (check the labels when you buy, because they are all the same color), but the tops were just too cute to pass up! As cute as I thought Minnie was, the Mickey with the flowers behind his back were just so sweet. Okay, so my photography skills could stand improvement, but without the red ribbon in front of this one, it’s kinda cute. 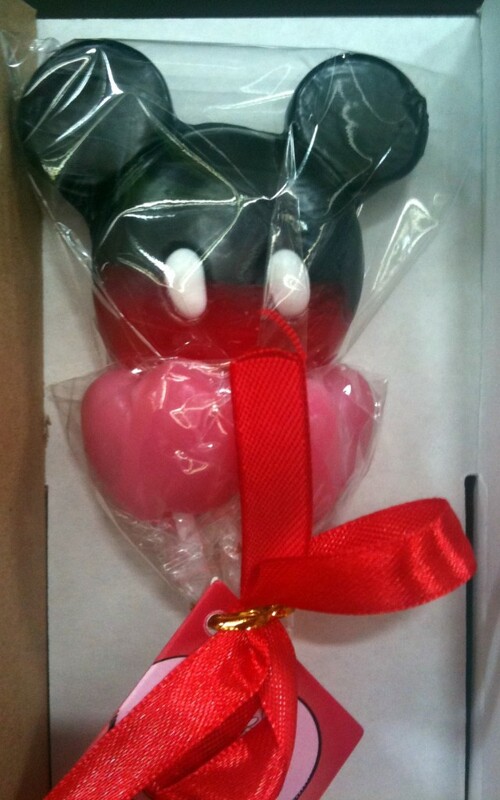 The bottom is two pink hearts, and the Mickey head, made from some squishy, gummy type candy, is dipped in a chocolatey type substance. Now that I see this out of the context of the G rated store, it could be a little obscene looking. You might not want to send these in to the class – especially if the class is filled with Tweens, prone to hysterical outbreaks when something is misconstrued. 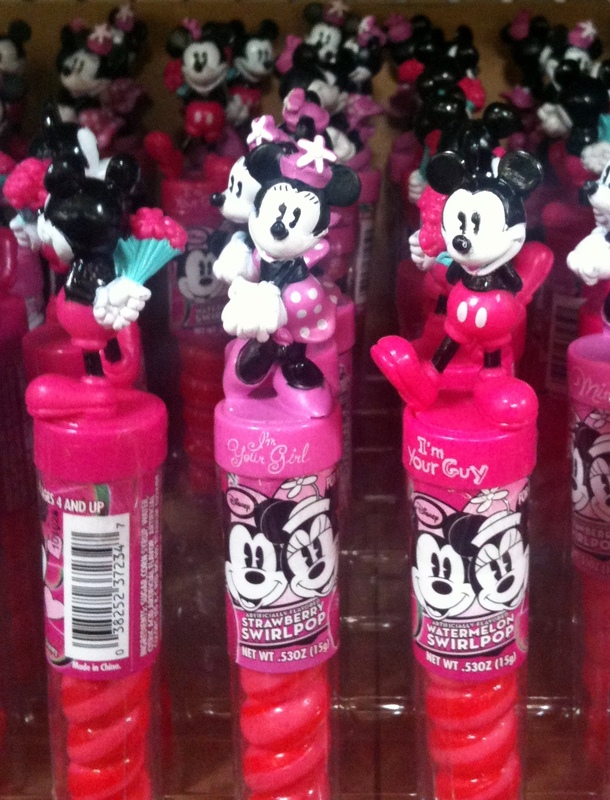 Okay, these were way cuter and way less pervert looking in the store – but hey, it’s Mickey Mouse! 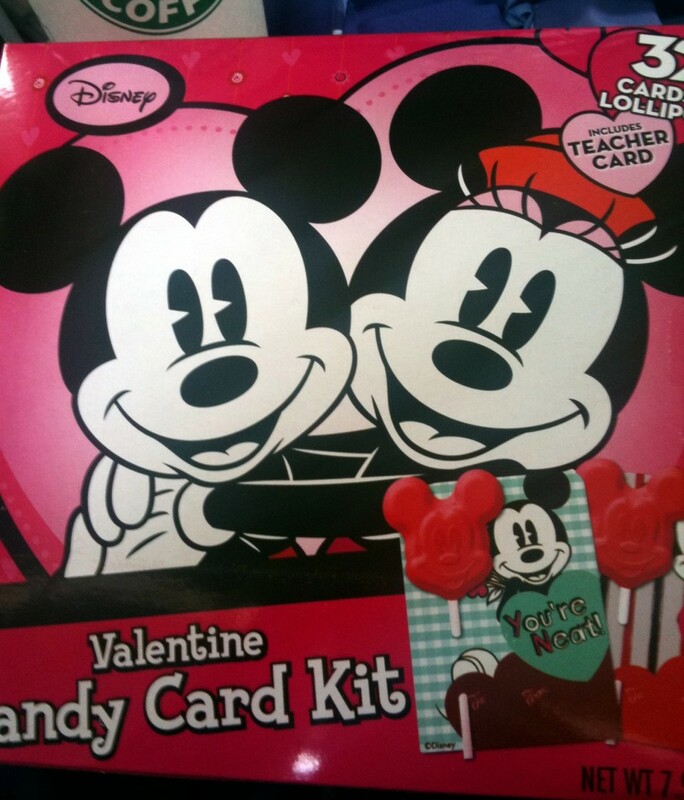 The ONLY character Valentine’s they had out yet at Walmart were these, and I snapped them up for my class. They are Mickey chocolate (colored red) lollipops that you can put into the accompanying Valentine cards. The cards themselves were kind of old fashioned looking, and I thought the kids would like the candy. There you go – you don’t have to go all the way to Disney World to find Disney treats for your sweetheart this Valentine’s Day! 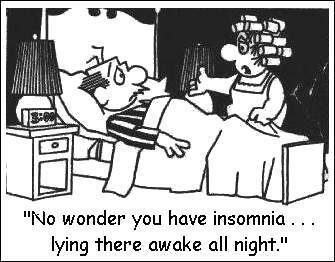 There are true insomniacs – people who genuinely and legitimately cannot sleep. And then there are people like me. I am on the go pretty much constantly during the day, so when I finally do lay down to go to sleep, unless I have the television on to keep my mind distracted, my mind wanders to a variety of things that make no sense. The other night, I decided to turn the television off, and I hoped I might just drift off to sleep. An hour later, I put the television back on, and was probably asleep within ten minutes. What kept me up for that hour? I knew you’d ask, so I jotted it down. 2 – Why can’t they tarp my street? I live on a side street off of a main road, and while I applaud the Bellmawr Municipal services, if they can tarp over the field for the Eagles to play on, why don’t they tarp over my street, then untarp it when a snow storm is over? Just have a team of people rolling up the tarp at the end of each blizzard, with a truck leading the way to gather up the snow. Then I could pull out of my driveway onto nice, dry streets. Fabulous idea. 3 – Who would read this stuff? People are always telling me I should write a book. About what? What do you guys want me to jot down that you’d pay real money for to download on your Kindle? Do you want me to write a Disney guidebook, to join the plethora of Disney guidebooks out there? Or do you want me to write about the crazy crud that happens to me on a routine basis? What is it that people want to read, really? Stephen King I am not. 4 – Why can’t I make a latte like Starbucks? It never tastes right to me. And there has to be a way to make it at home just as good. Without having my favorite barista Sandi move in with me. But I do have a fold out sofa…. 5 – How freakin’ lucky am I? Married 20 years; three amazing daughters; wonderful parents and in-laws; and friends that I love. And on that note, I put the TV back on before I sappily cried myself to sleep. This is not the first time our family has been touched by suicide. When Brighid was in elementary school, the brother of a friend killed himself because of bullying. Just about a year after that, the father of another of Brighid’s friends killed himself to avoid scrutiny of some of his business practices. It’s painful on levels you can’t imagine unless you go through it. It’s the feeling of having your hand out for someone and barely being able to touch the tips of their fingers before they are swallowed up by the sadness. The first time Angela came to my house, it was with Sandi and a book about relationships. It wasn’t the typical relationship book – you know, noted psychologist and relationship expert Dr. So and So. It was Steve Harvey. Act Like a Lady, Think Like a Man was going to be Ang’s guide to a great romance. Angela spent all the time I knew her looking for something. She married at 19 because she had dual citizenship between the US and her native Brazil, and she thought she could be helpful to someone. In the beginning, her eyes gleamed when she talked about him, a broad smile crossed her face. But it wasn’t the happiness and contentment she had hoped to find. Over the next few years, she cried out for attention, landed in hospitals, battled with demons. But it always seemed like she was going to find the right path. Most of my conversations with Ang were at the drive through at Starbucks. But I’d go in the afternoon, on my way to get the kids at school, when I’d be the only one at the window. Ang would hang out the window, breathing in the outside air, and chat with me about men, about her health, about life in general. When she said she was leaving Starbucks, I congratulated her; wished her the best with her new life; and hoped that it had meant she found true love, real passion, and the contentment that always seemed to elude her. She didn’t. Her spirit remained restless until the end, when the seduction of an instant and permanent peace was too great. It pulled her in, held her tightly, and it didn’t let go. Angela walked to work often, and one day, on our travels through the area, Jim saw her standing at a light, waiting to cross a busy intersection to get home. He had me turn around at the first light to go back and pick her up, but by the time we got back to where she had been, she was gone. Before we could help her find a way home. I hope, Angela, that you have finally found it – the peace, the contentment, the comfort that you didn’t find here. Rest in peace. This is difficult to read, I won’t lie. The absolute anguish that this man lived in is devastating – it is beyond comprehension. Had he not at the end of this letter asked that it be reposted, I might have thought about not posting it, but it was the last wish of a dying man that his pain be known. 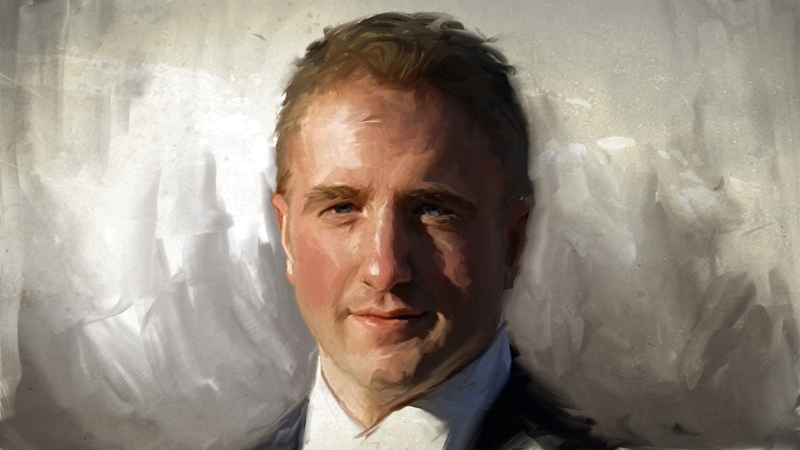 Bill Zeller was a talented programmer whose work we’ve featured on Lifehacker. He took his own life on Sunday and left an explanation that I think it’s important you read. Zeller was a victim of sexual and psychological abuse. It’s clear from his writing that the abuse left him unable to interface with the world in any way that didn’t leave him feeling he was too sullied to have the same experiences that he thought others had. He had a self-described “darkness”, which despite his prostration it’s clear he handled more ably than perhaps he ever realized.